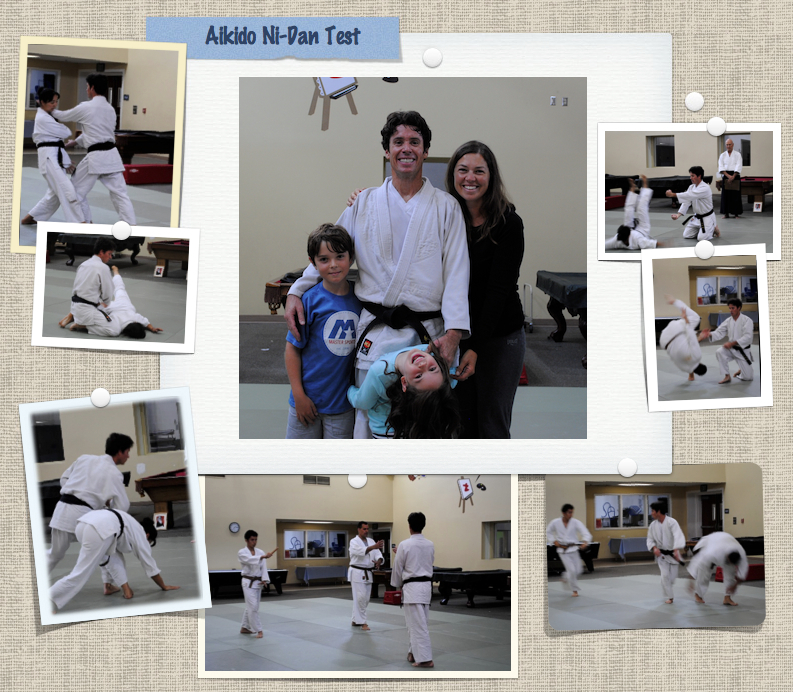 Aikido Del Mar non-profit » Aikido Ni-Dan Test Completed! Previous postAiki-kids Belt Test was Exceptional! Congratulations to Joe’s ni-dan test today. Kevin sensei expressed it was a strong test as Joe worked on his unique challenge to stay relaxed not forceful throughout the techniques and freestyle portions. Thank you to those who came out to watch and support Joe on his big day. Everyone’s participation is very much appreciated. Due to popular demand, we have added the freestyle video from Joe’s test below as well as his speech on “considerate aikido” here. Enjoy! A few moments from the Joe’s aikido ni-dan test today. Good day everyone! Tomorrow is a big day here at Aikido Del Mar. Our senior student Joe is testing for his ni-dan (second degree black belt) during the adult class. You are invited to come and support him from 1:15pm-2:00pm. This is a great way for junior students to gain a glimpse of the fruit of focused training as a possibility for amazing achievement in their own lives. After class, if you are able to, please join Kevin sensei and Joe to celebrate – meet at Urban Plates around 2:15pm. Note, next week, this post will be updated to show photos and videos from the test.